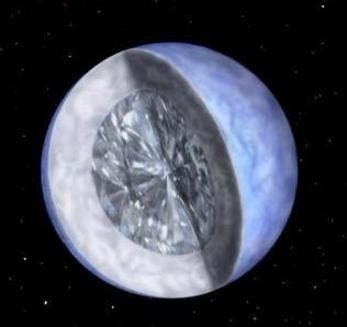 A once-massive star that's been transformed into a planet five times the size of Earth made of diamond. The pulsar and its planet are part of the Milky Way's plane of stars and lie 4,000 light-years away in the constellation of Serpens (the Snake). 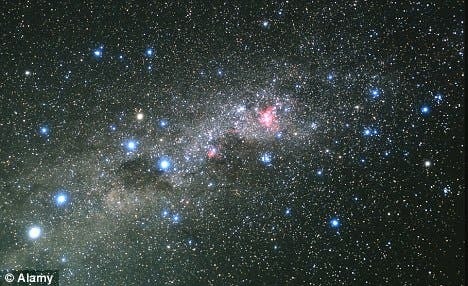 The system is about an eighth of the way towards the Galactic Center from the Earth. The discovery of the new binary system is of special significance for him and fellow team member Professor Andrew Lyne, from The University of Manchester, who jointly ignited the whole pulsar-planet field in 1991 with what proved to an erroneous claim of the first extra-solar planet. The next year, though, the first extra-solar planetary system was discovered around the pulsar PSR B1257+12.